Gaby lost her husband three years prior to the start of the book and hasn’t seen her kids all together for the holidays since. This year she sends out a video message announcing that she is getting married on Christmas Day and won’t announce who the groom is, so they better all be there. Her kids are battling different tough issues. Claire, is married with three kids. Her husband is a bum who uses recreational drugs and occasionally abuses her. Lizzie’s husband has Cancer and is struggling to deal with his many appointments and seizures. Seth is a struggling writer who is desperately trying to get a book published so he can marry his long time girlfriend. Finally, Emily is a workaholic lawyer in a firm who doesn’t fully appreciate her and her boss keeps trying to hit on her. They are all happy and intrigued by their mother’s announcement, but are worried about their own lives at the moment. 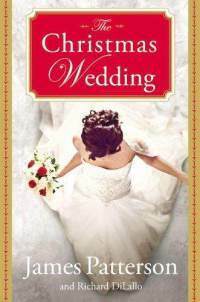 Can they all come together for the holiday and their mother’s big wedding? This is a fun, lighthearted and fast paced Christmas story. There are some tough issues like domestic abuse and drug use, as well as some tough language at times, but the overall positive message of the story and the power of family makes the story fun and heartwarming at the same time. Recommended for readers looking for a fun holiday read. The five Taylor sisters live with their mother in Spirit Vale where she works as a medium who speaks to dead people. The older sisters, Mimi and Jane, have long doubted their mother’s clairvoyance abilities, but their younger sisters all seem to believe. The twins even seem to have a special gift of their own. When their fates all collide together on the Titanic’s maiden voyage, Jane becomes worried when her twin sisters show fear that something bad will befall the ship. Can all of the sisters survive one of the world’s most famous disasters? This story weaves true and false facts about the Titanic’s famous fall. The introduction of the Taylor sisters adds a bit of intrigue as they explore the very popular trend of clairvoyance for the time. Famous faces make appearances throughout the story and are fun for reader’s to identify. The motivations of the five sisters are all clear and justified as they each try to find their own way in this world, but the ending is unexpected and not everyone makes it to New York. Recommended to fans of historical fiction and the Titanic. Steph Landry accidently spilled a drink on the most popular girl, Lauren, in sixth grade, and Lauren never let anyone forget it. In fact, Steph Landry’s name has now morphed into an insult as she has gotten older. For example, if someone trips someone else might yell, “Way to pull a Steph Landry!” Steph does have two close friends, Becca and Jason, but she longs for the days when she wasn’t a joke. Steph’s grandfather has recently come into some money after selling some of his land so that a save-a-lot could be built. Steph’s mother, a bookstore owner, is not happy about this since she believes it will drive out all other businesses and as a result has refused to go to her dad’s wedding to Kitty. Kitty just happens to be Jason’s grandmother. Steph decides to take matters into her own hands when she finds an old book in Kitty’s attick called How to be Popular. By following the book’s advice, Steph does start to get noticed more, but she also alienates her good friends and Lauren makes it her mission to get back at her for making her look bad in front of the other cool kids. In the end, Steph is faced with a tough decision, but by facing it she also has to face her future as a high school student. Who does she really want to be? Who does she really want to be friends with? How can she gain respect from her peers? How important is her family to her? The voice in this book is interesting and many girls will be able to identify with Steph’s desire for popularity. It is nice to see that she doesn’t become a mindless drone who will do anything the popular kids ask her to do, however. The ending is a little bit cheesy, but Cabot fans always like their happy endings. Popularity is an issue in almost any situation, but in high school it seems especially important. This story does a nice job of putting it into perspective and showing that popularity isn’t everything and there is no formula for becoming happy with yourself.